Aisling graduated from University College Dublin with a Bachelor’s Degree in Business and Law and later obtained a Master’s Degree in Equality Studies from the School of Social Justice at the same university. She completed the Legal Practice Course with distinction in 2015 at the London Metropolitan University. Aisling joined Wilsons in 2010 as a Senior Immigration and Asylum Caseworker. She has been a supervisor at the firm since 2013. She qualified as a solicitor in 2015 having trained in immigration and public law. In 2016 Aisling was admitted as a level 3 member of the Law Society’s Immigration and Asylum Law Advanced Accreditation Scheme. Before joining Wilsons, Aisling worked as a Team Leader at Refugee and Migrant Justice (formerly Refugee Legal Centre), where she had worked since 2007 as a Senior Caseworker, preparing and presenting appeals in the Asylum and Immigration Tribunal. Prior to moving to the UK in 2007 to work for the Refugee Legal Centre, Aisling worked for Fás, Ireland’s State Training and Employment Authority, on a variety of social inclusion programmes, including programmes for refugees and asylum seekers. 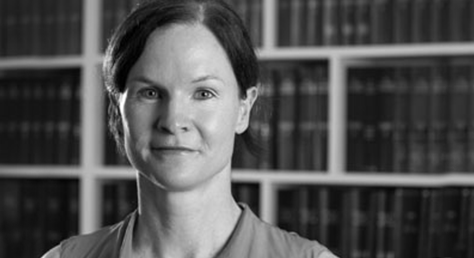 Aisling is an experienced specialist in immigration, asylum and human rights law. She has worked extensively with vulnerable adults, including victims of torture and victims of trafficking. Her main interest is in assisting detained clients with asylum claims and associated judicial review claims. Aisling has extensive experience of representing clients in judicial review claims involving the Dublin Regulations, particularly in relation to Italy. Her client AE was one of the Appellants in the successful Supreme Court appeal EM (Eritrea) & Ors v SSHD  UKSC 12. Aisling also represented NA in NA (Sudan) v SSHD  EWCA Civ 1060 and SOM in SM & Ors v SSHD (Dublin Regulation – Italy)  UKUT 429 (IAC). In 2015 Aisling was shortlisted for a LALY (Legal Aid Lawyer of the Year) Award for her work in Italy third country litigation and her commitment to vulnerable asylum seekers.